Jūrmala history and resort areas – Priedaine, Lielupe, Bulduri, Dzintari, Majori, Dubulti, Jaundubulti, Pumpuri, Melluži, Asari, Vaivari, Kauguri, Jaunķemeri, Ķemeri. Jūrmala traditional architecture, the Open-Air and other museums and axhibitions. 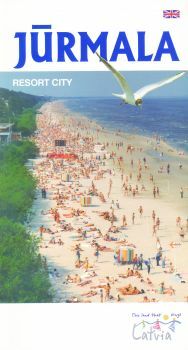 Having a splendid time on one of the most beautiful Baltic Blue Flag beaches with fabulous white sand. Health perfection by curative mineral waters and mud at the numerous spa hotels and by merging with the Nature at the Ķemeri National Park and pine forests on the coast of the Baltic Sea. Active rest at the Water Attraction Parks "Līvu Akvaparks" and "Nemo", yachting, horse riding etc. Excursions to Riga – the Capital of Latvia.